Get ready for some minty fresh deliciousness with Gum Mint from Al Waha shisha tobacco! This hookah tobacco flavor takes sweet spearmint, commonly found in spearmint gum, and packs it directly into your bowl. Whether you're mixing it with other shisha flavors or smoking it solo to maximize all that cooling spearmint, you'll experience a refreshing hookah session. 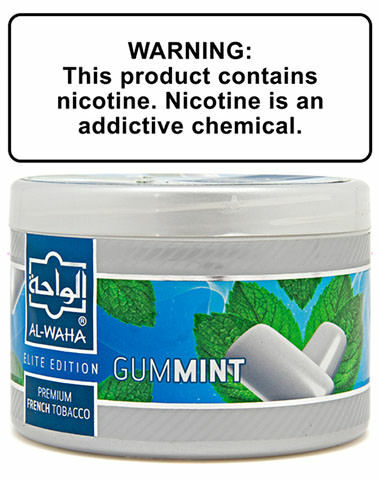 Gum Mint Al Waha Shisha Tobacco has a average rating of 0 stars out of 5 stars based on 0 reviews.